Jan, 20, 2012 -- He was considered one of the greatest automobile racers in the country, perhaps in the world, during the early 1920s, the "Golden Age" of racing. Among racing historians, he ranks among the greatest drivers of all time. He was a two-time national champion, and was the first American driver to win a European Grand Prix race -- a feat that wouldn't be accomplished again for nearly 40 years. During his brief five-year career, he raced five times in the Indianapolis 500, winning once, finishing third twice and finishing fourth once. Within a few short years, he became a racing legend and a national hero. A popular dance was named after him. Hollywood wanted him, and he appeared in a silent film, "Racing Hearts," with Agnes Ayres and Richard Dix. His achievements made headlines across the country. But today, 90 years after he quickly reached the pinnacle of his sport, few people besides racing enthusiasts and historians have ever heard of him. 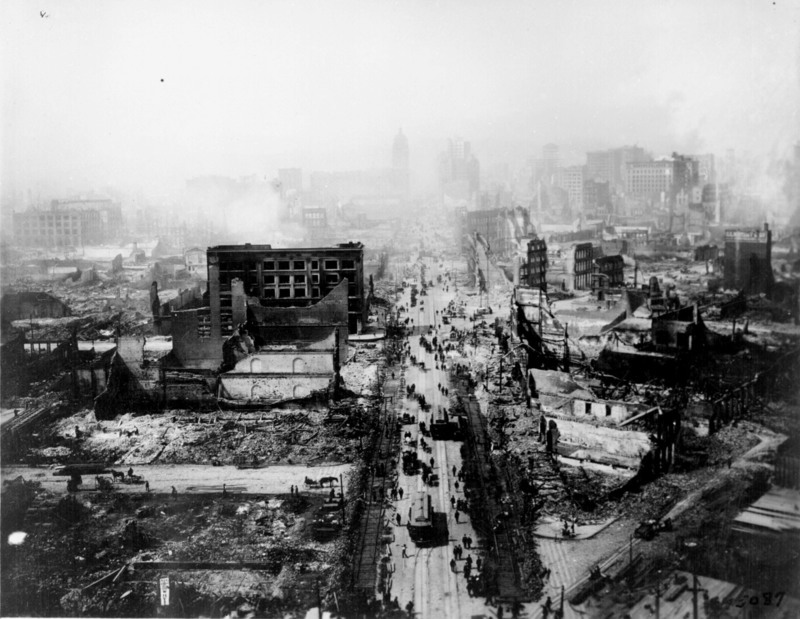 James Anthony Murphy was born on Sept. 12, 1894, in the Irish slums of San Francisco. His parents, Mathew and Margaret Moran Murphy, both Irish immigrants, owned a feed and fuel store on Mission Street, between 7th and 8th streets, and the Murphy family lived behind the store, at 635 Minna St. The neighborhood is now known as South of Market (or SoMa), but at the turn of the last century, it was known as "South of the Slot," a reference to the slot running down Market Street which contained the cable that ran the cable cars. 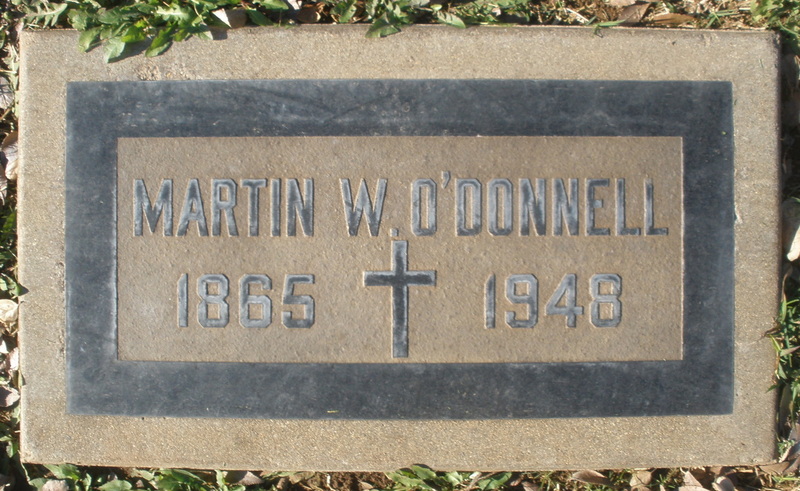 In late 1907, Murphy went to live with his aunt and uncle, Martin and Mary Moran O'Donnell, on San Antonio Street in Los Angeles, and he attended Huntington Park High School. Martin O'Donnell gave Murphy a motorcycle to ride to school, and the boy worked on it until he became so skilled as a mechanic that he and a friend dropped out of high school and opened a small commercial garage, serving motorcycle and automobile owners. Murphy's career as a professional driver started in 1915, when he was hired as a mechanic on the racing circuit. In those days, a mechanic rode in the car during the race, and Murphy rode with some of the era's top drivers, including Tommy Milton, Eddie Richenbacker, Ralph DePalma and Harry Hartz. In 1919, Murphy was working as a mechanic for Fred S. Duesenberg when one of Duesenberg's top drivers injured his arm. 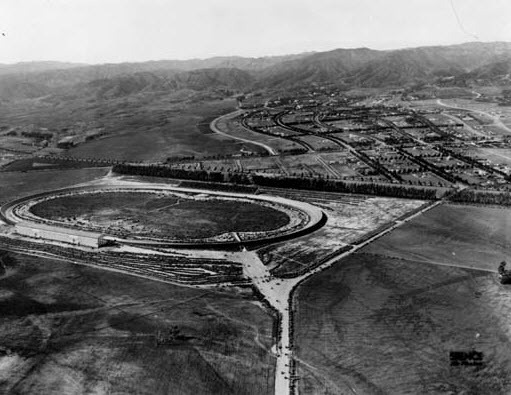 Murphy was offered a chance to drive and, in his first race in the 1920 American Automobile Association Championship Car season -- the 250-mile Beverly Hills Race held on Feb. 20 as the inaugural event at the newly opened Beverly Hills Speedway -- Murphy won the pole position, then won the race, setting a record speed of 103.204 mph for a 250-mile race. In most ways, Murphy was the perfect driver. He was relatively small and light -- at 5-foot-6 and weighing less than 150 pounds, he wouldn't add any excess weight to the car. He was also a skilled mechanic, and fearless on the track. The 1920 AAA season consisted of five races, including the Indianapolis 500. 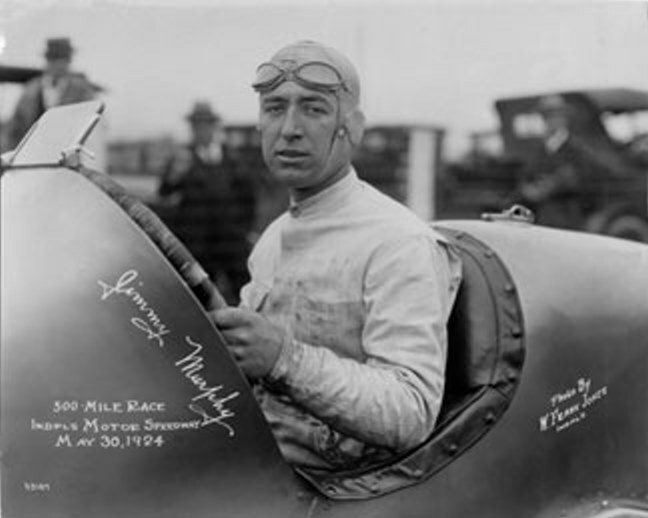 Murphy won two of the races, finished fourth at Indy, and ended the season in third place in the point standings behind Gaston Chevrolet and Murphy’s Duesenberg teammate, Tommy Milton. The 1921 AAA Championship Car season consisted of 20 races. Murphy won four of them, and finished in fourth place in the year-end point standings -- and he likely would have done better if he hadn't spent part of the year racing in Europe. But Murphy's biggest triumph in 1921 came when he went to France as part of the Duesenberg team to represent the United States in the French Grand Prix. A week before the race, Murphy was seriously injured during a training run. A wheel on his car locked, and the car flipped over and landed in a ditch, with Murphy pinned underneath. Murphy was hospitalized with several cracked ribs and internal injuries and remained in the hospital until two hours before the race, when he taped up his injured ribs from his hips to his armpits and headed to the track. After he was lifted into his car, Murphy drove in severe pain for more than four hours. With two laps to go, a stone thrown by the wheels of the car ahead of him punctured the radiator on Murphy's car, then another stone punctured a tire, leaving Murphy driving on a wheel rim for most of the final lap. Even so, Murphy finished first, an incredible 15 minutes ahead of Ralph DePalma in second place, and became the first American to win a major European racing event. Murphy's feat wasn't repeated for nearly 40 years, when American Phil Hill won the Italian Grand Prix in 1960. The French racing fans were shocked and stunned to see their hometown heroes defeated by an upstart American. There was no applause when Murphy took the checkered flag at the finish line. At the awards banquet after the race, where Murphy should have been the guest of honor, the first official toast of the evening was not to Murphy, but to Jule Goux of France, who finished in third place, 21 minutes behind Murphy. In the 1921 Indianapolis 500, Murphy crashed after 107 of the 200 laps, and finished in 14th place. In 1922, Murphy won seven races in the AAA Championship Car’s 18-race season, and easily finished in first place in the year-end point standings, becoming national racing champion for the first time. Among his victories was a first-place finish in the Indianapolis 500, driving his "Murphy Special" to a record speed of 94.48 mph. Murphy started strong in the 1923 AAA Championship Car season, winning the first two races at the Beverly Hills Speedway and the Fresno Speedway, and finishing in third place in the Indianapolis 500 after suffering tire troubles. Murphy skipped a few U.S. races in 1923 to compete in Europe, where he finished third in the Italian Grand Prix. (After his rear brake cables snapped during the race, Murphy continued with only his front brakes.) Although he didn't win another U.S. race that year, Murphy still finished in second place in the year-end point standings. Murphy again started strong in the 1924 season. After leading for 56 laps in the Indianapolis 500, he finished third. He then won the next three races on the AAA Championship Car schedule, and was easily heading for his second national championship. On Sept. 15, 1924, Murphy competed in the 150-mile Syracuse Race, held at the New York State Fairgrounds in Syracuse, N.Y. 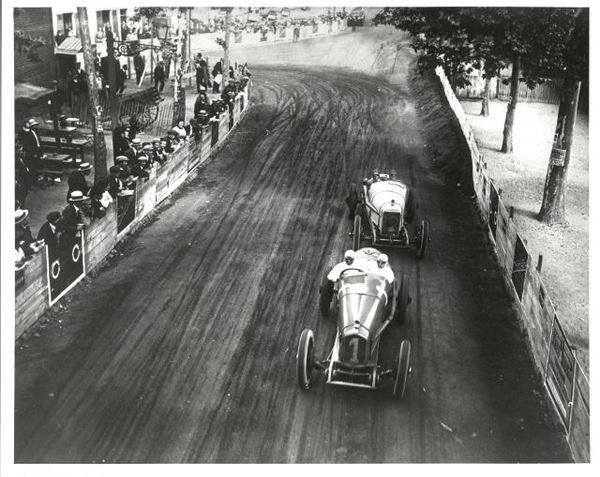 While most of the tracks on the AAA Championship Car schedule were board ovals, made of wooden planks (or, in the case of Indianapolis, bricks), Syracuse had a dirt track. 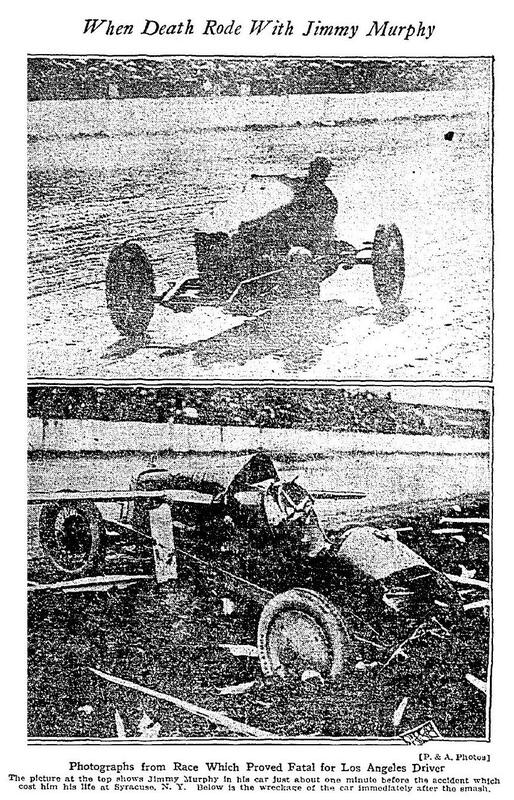 Murphy was not an accomplished dirt-track racer -- he preferred the hard, wooden surfaces which better suited his smooth driving style -- but he agreed to compete in Syracuse because the race was being promoted by a friend. After 138 laps of the 150-lap race, Murphy was running in second place and attempted to pass the leader, Phil "Red" Shafer. Speculation is that Murphy's car might have hit a patch of oil, or a shock absorber might have failed. Murphy's car clipped the inside rail, skidded sideways, and then hit the wooden inside rail again at a speed of more than 100 mph, crashing through the barrier. A large wooden piece of the splintered rail sliced through the car's radiator, engine block and into the dashboard. A second timber speared completely through Murphy's chest. He died before he could be taken to the hospital, three days after his 30th birthday. According to reports from the scene, "He was a crumpled mass. His back and neck were broken and his legs were twisted almost off his body." The race continued and Shafer won. 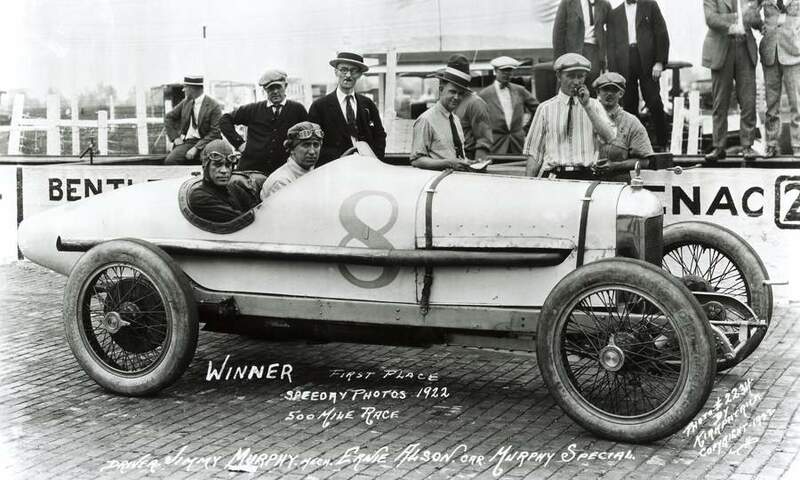 But, even with three more races to go on the nine-race AAA tour, Murphy was so far ahead on points at the time of his death that he still won the national championship, which was awarded posthumously. 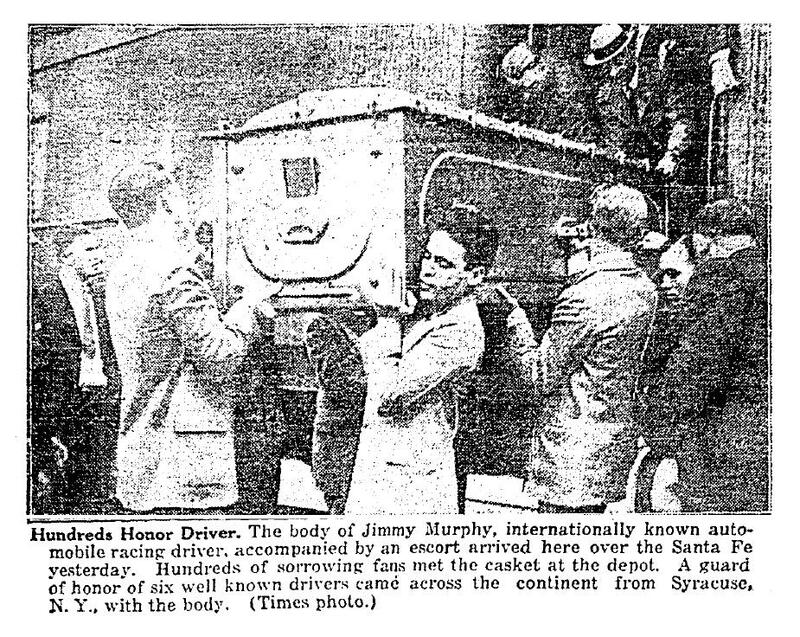 Murphy's body was brought back to Los Angeles by train, and a crowd of hundreds of grieving fans greeted the train when it arrived at the station. Murphy's body was accompanied by drivers, mechanics and friends, including "Red" Shafer, Harry Hartz, Fred Comer, Bennett Hill, Bob McDonough, Peter DePaolo, Gus Stiehl, Fred Wagner, Reeves Dutton, Waldo Stein and Ed Wintergrast. Murphy received his final checkered flag when his coffin was covered with a black-and-white floral display before it was placed in the waiting hearse. A public visitation was held at the Knights of Columbus Auditorium, 614 South Flower St., and thousands of racing fans filed past Murphy's coffin to pay their respects, with honor guards from both the Elks and the Knights of Columbus. "He was clean," said Joseph Scott, past state deputy of the Knights of Columbus during the service held at the auditorium. "There was no spot on him. In every respect, whether as a sportsman in the most dangerous of all sporting activities, or as a man in relation to his fellows, or as the wholesome type of unassuming unpretentious American citizen, or as a solid Christian gentleman, Jimmy Murphy was spotless. I cannot assauge the grief of his family, dim the sorrow of his intimate friends, nor lessen the sadness of thousands of fans to whom he was the ideal of chivalry and courage, but we can all ponder over the lessons his life gave us." "The sport will miss him," Scott said, "the public will be lonesome for him, but the lesson he taught by his life will live on earth in the hearts of those that cherish the ideals of the square game, the clean contest, and the courageous spirit with which he thrived and lived and ultimately met his fate." Murphy's funeral Mass was held at St. Vincent's Church, Washington Boulevard at Grand Avenue in Los Angeles. The church was filled with mourners, and hundreds more crowded outside the church. Murphy's funeral service attracted the nation's top drivers, racing entrepreneurs, engineers, promoters and fans. Fred J. Wagner, chief starter for the AAA Contest Board, delivered the eulogy. "Sportsmanship, like every other moral quality, is not instinctive," Wagner said. "It must be acquired. Jimmy Murphy, as no other, possessed the quality of a 100 percent sportsman. Invariably, when he won, he attributed his success to the goddess of fortune. He carried his honors more blithely than any other man I have ever come in contact with in my 30 years as an official. He accepted victory without a sneer or a strut, and defeat without a whimper. He was one in a million." 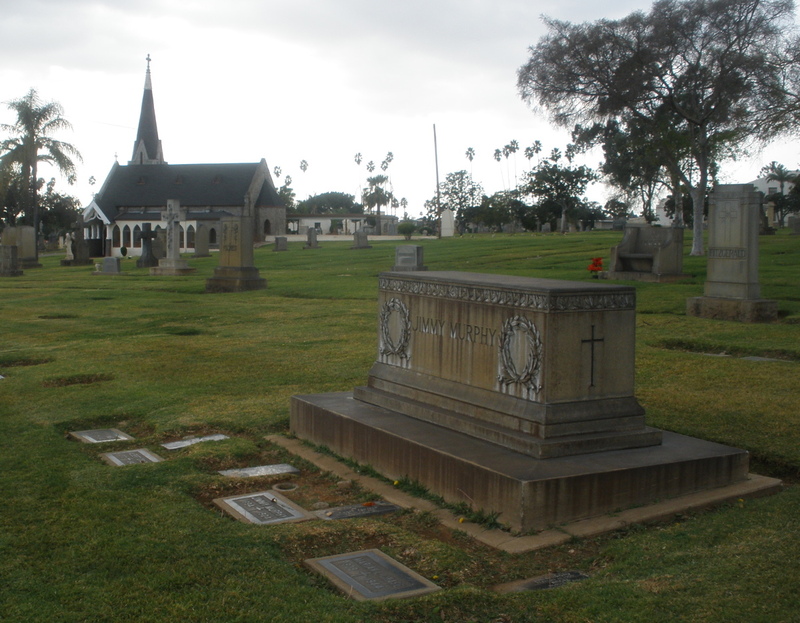 Murphy was buried in the O'Donnell family plot at Calvary Cemetery in East Los Angeles, in Section F, northeast of the All Souls Chapel. 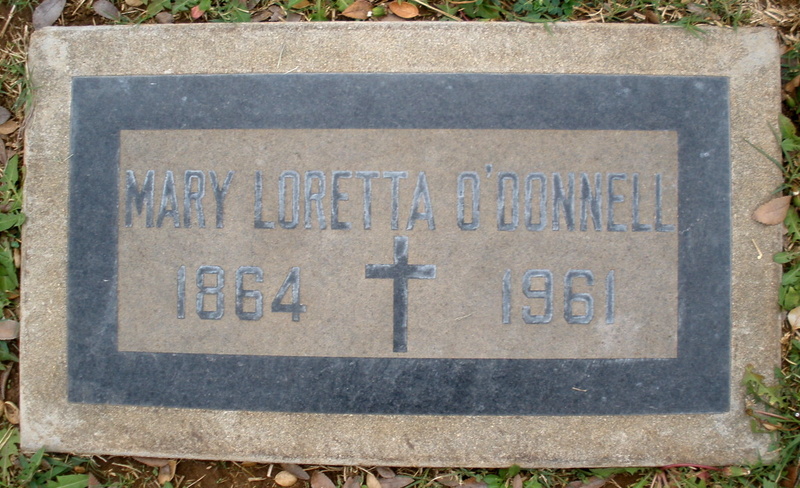 Also buried in the family plot are Murphy's uncle, Martin O'Donnell, who gave him his first motorcycle, and his aunt, Mary O'Donnell, as well as other family members. 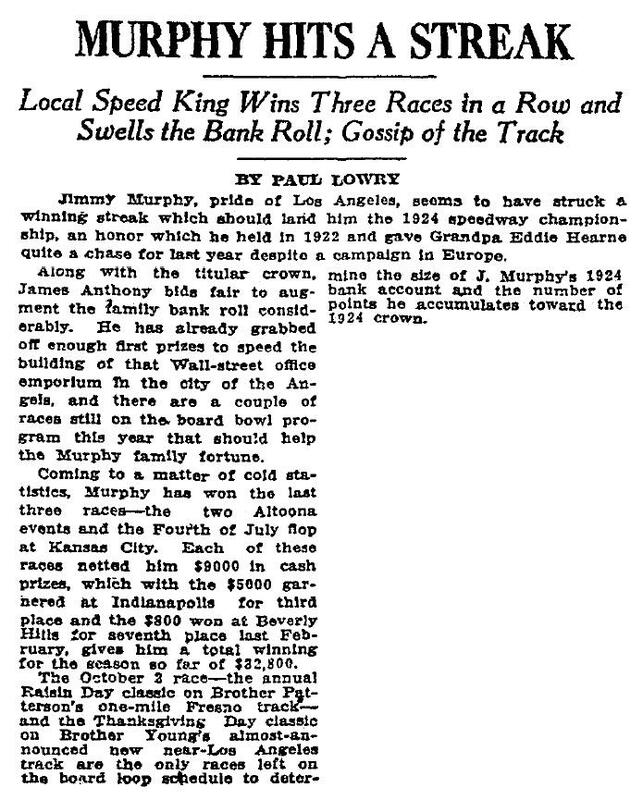 At the time of his death, Murphy was worth an estimated $250,000 -- about $3.3 million today -- and had already won more than $40,000 during the 1924 racing season. He invested most of his money in real estate in the Los Angeles area. Murphy was an active member of the Elks Lodge No. 99 in Los Angeles, and the Knights of Columbus. The Los Angeles Knights of Columbus Council 2653 was named the Jimmy Murphy Council in his honor. 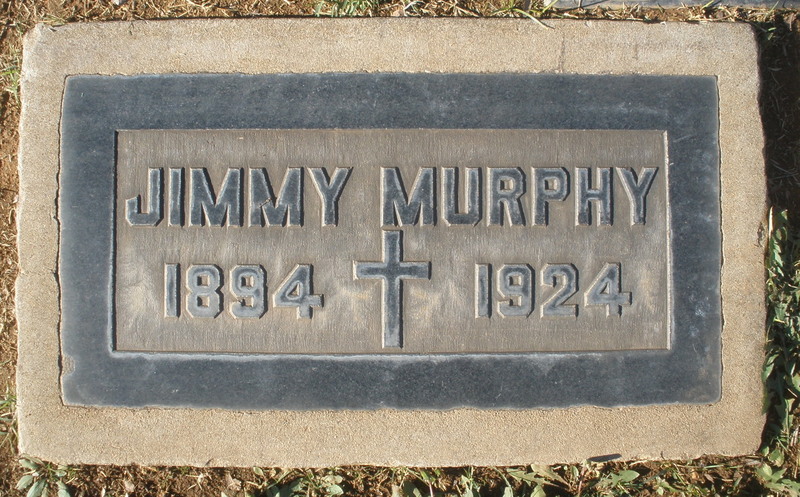 In June 1925, an unveiling and dedication ceremony was held at Calvary Cemetery for Murphy's large grave marker, which was made of California granite and printed simply with his name on either side. About 500 people attended as Msgr. John Cawley of St. Vibiana's Cathedral blessed the monument, and an airplane flew overhead, dropping flowers. During his racing career of less than five years, Murphy competed in 85 championship board track races, and won 18 of them. He set one-lap speed records at three tracks which were never broken. Murphy was inducted into the Motorsports Hall of Fame of America in 1998.